Toro Rosso have confirmed that Daniil Kvyat will race for the team in 2019, giving the Russian driver his third stint with Red Bull junior team. Having been dropped from the team around twelve months ago in favour of trialling Formula One returnee Brendon Hartley, Kvyat has been given another opportunity to revive his Formula One career. With Pierre Gasly securing promotion to the Red Bull senior team for 2019, Toro Rosso have once again opted to bring back a driver previously dismissed by their academy, with their system seemingly having few viable options for 2019. Of the drivers associated with Toro Rosso and power unit suppliers Honda - Dan Ticktum, Nirei Fukuzumi and Tadasuke Makino - none will have the super licence points required to move into Formula One. Still only 24-years-old, Kvyat spent a season as test and simulator driver at Ferrari and said that staying connected to the sport was important to keeping himself prepared for a race return. "First of all, I would like to thank Red Bull and Toro Rosso for giving me this opportunity to race in Formula 1 again and I am particularly pleased to be returning to a team I know very well," said Kvyat. "Toro Rosso has always made me feel at home and I'm sure it will still be the same next season. I would also like to thank Ferrari for trusting my driving skills which allowed me to stay connected to F1 as their development driver. "Even if my duties were primarily simulator based, I've learnt a lot, and I now feel stronger and better prepared than when I left Toro Rosso. I never gave up hope of racing again, I am still young and I have kept in good shape to always be prepared in case another opportunity presented itself. I will give my best to deliver what the team expects from me and I can't wait for everything to start again." Kvyat made his Toro Rosso debut in 2014 and earned promotion to the Red Bull team in 2015, filling the seat vacated by Sebastian Vettel. He took his best finish of second place at the 2015 Hungarian Grand Prix and stayed on with the team into 2016. 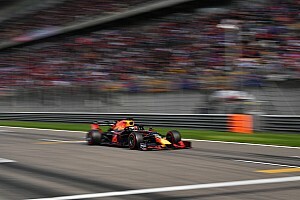 Despite taking his second Formula One podium at the 2016 Chinese Grand Prix - where his driving was described as "like a torpedo" by Vettel - he was dropped after a combative race at the Russian Grand Prix in favour of Max Verstappen. Kvyat returned to Toro Rosso and raced alongside Carlos Sainz, but his formed dipped and he was involved in some scrappy races, prompting the team to reassess their options for 2018. Toro Rosso team principal Franz Tost said that he believes the "best is yet to come" from Kvyat ahead of his third stint with the team. 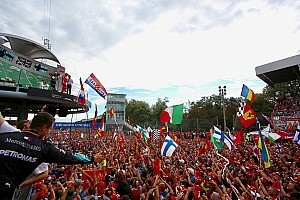 "I believe he deserves another chance in Formula 1. 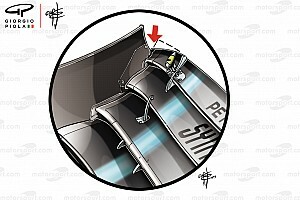 Daniil is a high skilled driver with fantastic natural speed, which he has proven several times in his career," said Tost. "There were some difficult situations he had to face in the past, but I'm convinced that having had time to mature as a person away from the races will help him show his undeniable capabilities on track. "We'll push very hard to provide him with a good package, and I feel the best is yet to come from his side. That's why we are happy to welcome him back to our team, to start a successful season together."